For those of you who may not be aware of this, the latest version of WordPress, version 4.74 (which was just released and is auto-updated on millions of websites) will add a line of code to all your outbound links you set any link to open in a new page. The code looks like this: rel=”noreferrer noopener”. If you are an affiliate marketer of adult webcams or anything for that matter the question you should all be asking is what is the impact of my outbound affiliate marketing links? Are they or are they not being tracked? 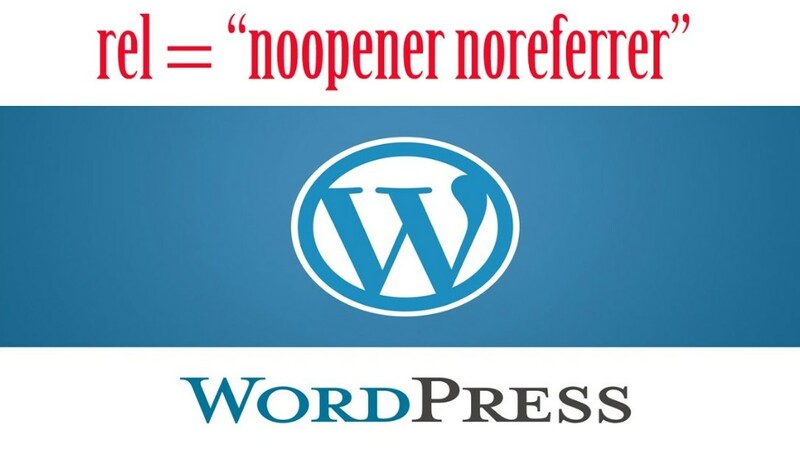 Are any Adult Webcam Affiliate Programs tracking ability going to be affected by the rel=”noopener noreferrer” in latest version of WordPress? Unfortunately, I cannot answer this question for all adult webcam affiliate programs, at least not yet. However, washamdev.com has a really insightful post on how this may or may not impact your outbound affiliate traffic which I suggest you read. Essentially it comes down to what type of tracking the different adult webcam affiliate programs are using; or how they track inbound traffic. That article also shares how you can disable this new functionality on your WordPress powered site. Apparently, if you are use an affiliate program that tracks affiliate click-through via a query string parameter, you can safely allow the rel=”noopener noreferrer” code on your links. However, it pays to check with your affiliate program and make sure your sales are tracking either way with this big new automated change to how WordPress alters the outbound links for you. Again, there is also a number of ways to remove this code which you can easily find online. However, if you can confirm your affiliate partners are tracking with this code in place it’s wise to keep the rel=”noopener noreferrer” code on your WordPress powered site because it does offer some benefits as well. We are individually checking with the top adult webcam affiliate programs and we will update this post as we learn more. Likewise, we hope to share a list of affiliate programs soon that maybe impacted by keeping the rel=”noopener noreferrer” code on your WordPress powered site. If in fact there are any affiliate programs that may not play nice with this code in place? Tweet @AdultCamNews if you have any insights to add to this discussion. Make sure to remember you can also discuss adult webcams b2b topics at CammerZ.com the Business Community for the live webcams industry. I wrote to the 7 largest adult webcam affiliate programs online to see what the affiliate managers said and if their programs would be in any way impacted if webmaster using WordPress sites post version 4.74 with the rel=”noopener noreferrer” code whereby the referring domain is not tracked when the link is being opened in a new window. I will update this post daily as each affiliate representative gets back to us and then post them in the order they replied.